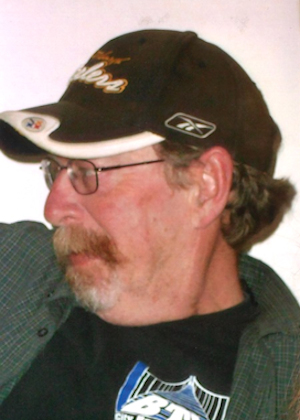 Obituary – Bryant, Ronald Edward « Perry High School Alumni Association, Inc.
Ronald (“Ron”) Edward Bryant was born on September 5, 1951 in Richland, Washington to Joseph H. Bryant and Norma Gene (Youker). Ron graduated from Perry High School and attended NOC. He worked for many years as a loyal employee of Safeway/Homeland, and then Reliable Termite. He was an avid fan of the OU Sooners & the Pittsburgh Steelers, and never missed a game. He spent a great part of his life at his favorite fishing holes, tubing around, waiting on the next large mouth bass to bite. The “original Beatle”, he was a lifelong musician & lover of music. Hardly a day went by that he didn’t pick up his guitar, or sing along to an album or his reel to reel recordings. He loved reading everything from the Bible to Stephen King. He is preceded in death by his mother, Gene Bryant, and brother-in-law, Mark Passow. 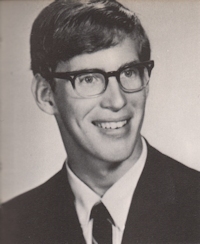 He is survived by his father, Joseph Bryant, of Perry; lifelong love, Barbara Bryant, of Edmond; daughters, Brandi Bickford (husband Denny) and Sherri Fitch, of Edmond; brothers, Patrick Bryant (wife Patricia), of Chesterfield, MO; Jeff Bryant (wife Barbie), of Colorado Springs, CO; a sister, Brenda Passow, of Ft. Collins, CO; three adored granddaughters (who called him “Grumpa”), Maycee and Isabella Fitch, and Maddie Bickford, all of Edmond. Also, two nieces, four nephews, and many other loved ones. All that knew him will miss his soft heart and generous spirit. Thanks to those who helped & supported him along the way. He fought the battle, but in the end, the Lord helped him win the war. Memorials in his honor may be given to Rob’s Ranch and The City Rescue Mission. A celebration of his life will be held, Friday, November 14th at 11:00 a.m, at Southern Hills Christian Church in Edmond. Final resting place McGuire Cemetery, Lucien, OK.